Taylor Herring has created a 'Christmas Party Escape Suit' for online accommodation booking firm LateRooms.com, to help people escape boring parties unnoticed. 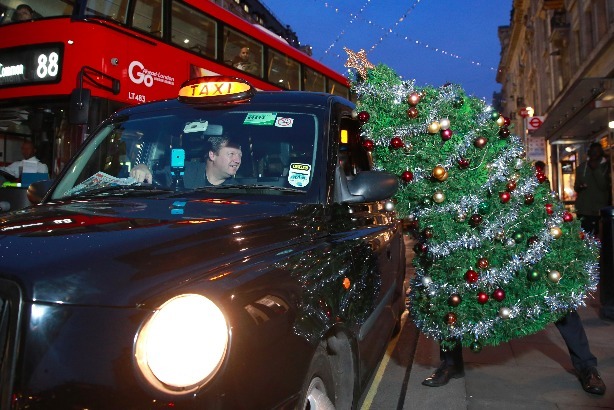 The fully decorated, 6ft wearable Christmas tree with battery operated lights will be promoted on YouTube and other social media channels, and showcased in shopping centres and train stations across London. The idea behind the suit comes from the joke to "make like a tree and leave". The campaign is based on a study of 2,000 people that found today (Thursday, 17 December) and tomorrow (18 December) will be the busiest nights in the UK for office parties and Christmas knees-ups. The research also found 72 per cent of British people are too polite to leave a terrible Christmas party. Andrea Tarpey, head of comms and PR at LateRooms.com, said: "Life’s too short for bad parties, which is why we invented the wearable Christmas tree. We are encouraging people to follow our lead by using our instructions to make their own party escape kit. Hopefully our wearable Christmas tree will allow a few people to escape and spend this year’s festive season somewhere they’d rather be."